Whether you are floating on the surface, standing on the ocean floor or just maintaining a constant float mid ocean, it is important that you can do so with ease. That is the job of your scuba BCD. A buoyancy control device, commonly shortened to BCD, is a device that gives you control underwater. 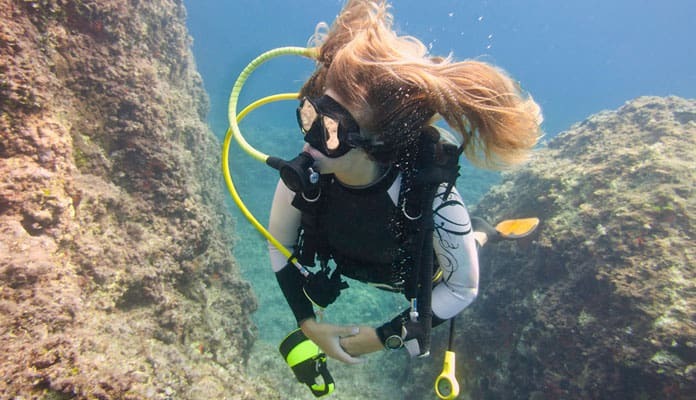 Neutralizing your buoyancy when underwater and giving you a positive buoyancy when on the surface, the point of a BCD is to keep you in your desired area while in the water. Your properly fitting BCD combined with your weight system will give you the control you desire. This is also where your tank will attach to. This is an important piece of equipment, that’s why it is highly recommended that you get the best scuba BCD on the market. 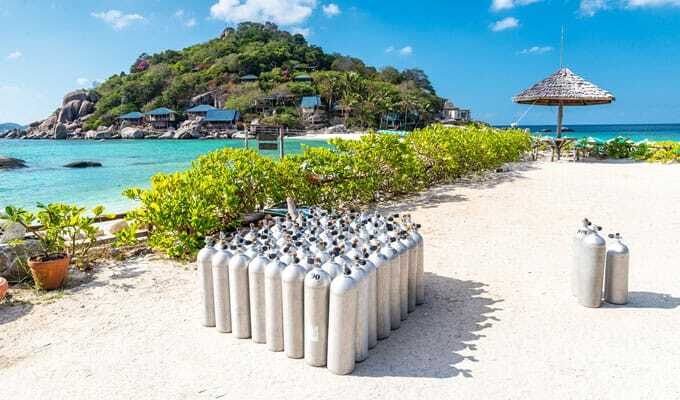 To help with your search we have constructed a list of the best scuba BCDs to make sure you enjoy your time in the water. We recommend doing your research and getting one that properly fits you and your needs. This is much more lightweight and compact than your traditional BCD. This Cressi option adds comfort and allows almost any diver to use it. Providing a good balance and trim under the water gives this BCD an all around lift. The bladder is made using 210 denier nylon which provides added strength without weighing you down. Light alloys won’t weigh you down but will provide a total of eight D-rings for added storage. Travel BCD reviews recommend this product as the lightweight design allows you to pack this set up with you no matter where your travels take you. Two rear trim pockets and two large accessory pockets allow you to bring more gear with you such as knives and dive lights. A padded back panel sits comfortable against your skin and is flexible enough to move with you. Adjustable straps on the on the shoulder, chest and waist ensure that you get the perfect fit for your body. You will feel extra secure with a velcro waist band. The affordable price makes this a great BCD for beginners. But don’t be fooled by the price, this AquaLung BCD is a quality rig. Loaded with features like D-rings and utility pockets this is a full featured pack that you won’t be outgrowing anytime soon. The patented puncture, fade and tear resistant material has been specially designed to last for years. A fully adjustable waist strap combined with its 6 sizes ensure this will fit any person. Features like a squeeze lock knife and reflector kit make it easy to create a personalized look and feel. Built in features like a quick release for the weights and an adjustable tank strap give you a great starting point to build off of. This is a great BCD for a value price. This BCD is built to last through many years to come. 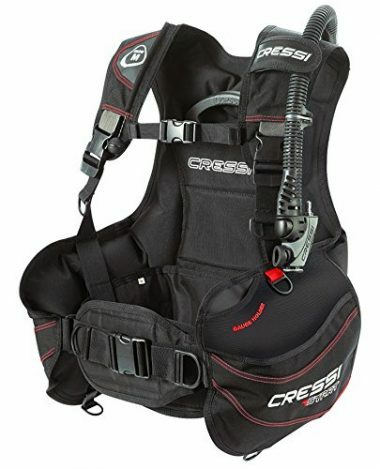 The Cressi Start BCD has a strong, almost bulletproof, exterior which makes it an ultra durable option. A rigid padded back supports you and the adjustable sternum strap makes it so that you can get your perfect fit. Being constructed using high quality strong 500 and 1000 denier Cordura gives this BCD excellent buoyancy, even the smaller sizes. This BCD comes equipped with three over-pressure relief valves. All three of these come able to manually dump with a simple pull string. You will be able to attach more gear to this device with the use of the two plastic D rings, the two large accessory pockets and the additional two snap hooks. The waist strap assembly is independent from the air cell which makes it so that when inflated you do not have a tight squeezing feeling. This gives added comfort to this BCD. 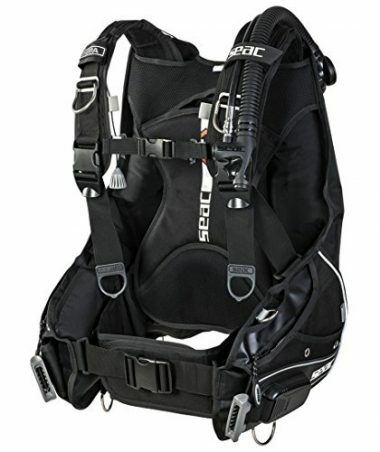 Scuba BCD reviews are raving about the value you get with this purchase. The Zeagle Stiletto BCD has been designed for recreational diving and features a high quality strapping system with a lightweight frame. This will give you a perfect fit no matter your diving style. The Zeagle Stiletto BCD is designed for a single tank that is perfect for warm and cold water environments alike. A strong 1000 Denier nylon bladder ensures a durable build that is resistant to abrasion and tears making it perfect for dives against reefs or sharp material. Stainless steel D-rings add to the high quality design and will give you peace of mind with their durability even at high depths. A padded lumbar support system keeps your back comfortable while soft shoulder straps ensure the same for your arms. You can tell the quality of this rig by the warranty. The heavy-duty materials have been chosen to make this one of the most durable jackers on the market. The materials are some of the best out there, and the construction shows a craftsmanship with a dedication to water sports and scuba diving. The adjustable shoulders make it easy to find the perfect fit, and the addition of the D-rings means that you can add a lot of equipment to your jacket. This is a great jacket for beginners or advanced divers. There are enough pockets for you to take any equipment with you, and the jacket is built to last. The backplate on this BCD gives you more lumbar support than most BCDs. The weight is also distributed more evenly, with the hip straps taking more of the weight when you are on dry land, leaving your shoulders total less of the strain. The integrated weight system will help you to maintain your buoyancy in the water, and the quick-adjust system makes it easy to adjust your buoyancy when you are under the water. The frame of the BCD ensures that it is going to last. With so much weight, you need a strong frame to protect the BCD and to protect you. The stainless-steel D-rings also allow you to add more weight in the form of extra equipment. This jacket is one of the most comfortable BCDs on our list. The jacket has been redesigned to have more comfortable shoulder straps, waists straps, and webbed padding. The combination means that you get a better fit and more comfort when you are in the water. The addition of the pockets gives you improved functionality while not taking anything away from the jacket. The exhaust valves are functional, but also provide a contemporary look to the jacket. This jacket is strong. The pockets and rings allow you to add a lot of equipment to the jacket without it being under any stress or strain. The fasteners are extremely strong and will show no sign of breaking even after you have used the jacket hundreds of times. 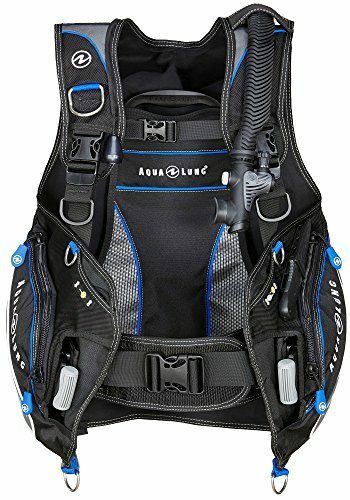 This is one of the lightest BCDs on the list, making it perfect for cutting down on the weight of your gear bag, and also great for traveling. We like that this BCD comes with its own weights. You have two 7 lb weights which can be added to the pockets. There is also a Quick-Drop weight release system to get rid of the weight quick when you need to. This is a great BCD for everyone. Beginners will feel at home in it, while experienced divers will find something to enjoy about this piece of equipment. This BCD is great for everyone. It is a one-size-fits-all jacket and is perfect for almost any adult. The thing we love about this BCD is that it is extremely lightweight, and it can be folded for travel. 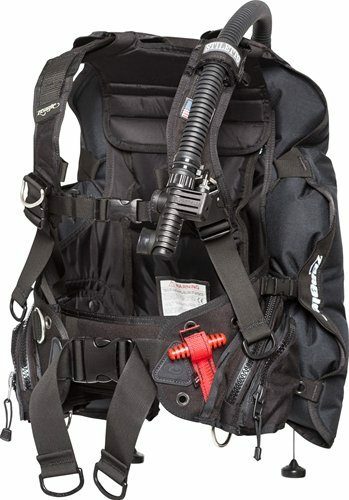 This is the perfect BCD for anyone who travels to scuba dive. You can pack this jacket into any luggage and take it with you. When you have it on, you will notice that it is extremely streamlined and you will almost feel as if you are not wearing a jacket at all. 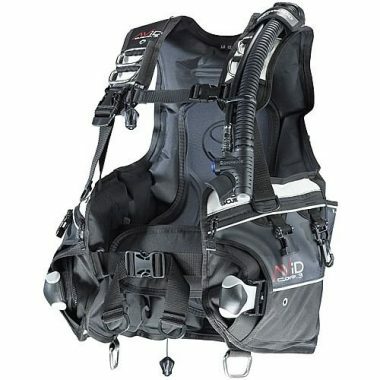 This is a high quality BCD with loads of added features. A large pack that wraps around your waist and D-rings strategically placed throughout the pack give you the ability to customize your load. The strong 1000 denier nylon will stand the test of time and creates a lightweight system that you can rely on in any circumstance. Loops on both straps give you the option of having your air straps on either side. All of the buckles are adjustable to create your perfect setup. Coming in 5 different sizes the Scubapro Knighthawk is guaranteed to fit you perfectly. A simple squeeze and pull system allows you to quickly release your ballast weights in case of an emergency. 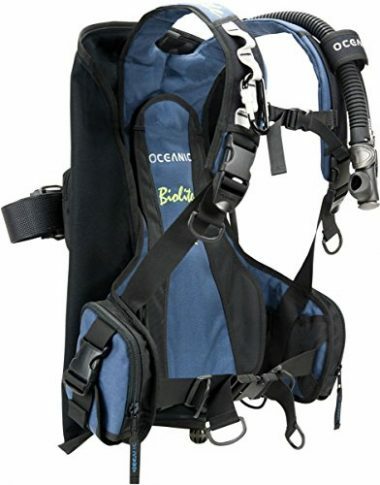 According to buoyancy compensator reviews this is one of the best scuba BCDs on the market. A BCD is a buoyancy control device (also known as a buoyancy compensator). Essentially it is a piece of equipment that allows you to move up and down in the water. Bladders will increase or decrease with air which will make you more or less buoyant. These essential scuba diving pieces of equipment look like vests and contain features that will keep you safe during your time underwater. This is the best choice for those who dive primarily in cold water. For those who dive in dry suits or thick wetsuits this type of BCD provides enough lift and has integrated weight systems to keep you diving with ease. While this is the heaviest option, it has tons of storage and areas where you can attach more gear. This type of BCD allows you to wear the thickest wetsuit possible, which is great when you need to dive down deep. 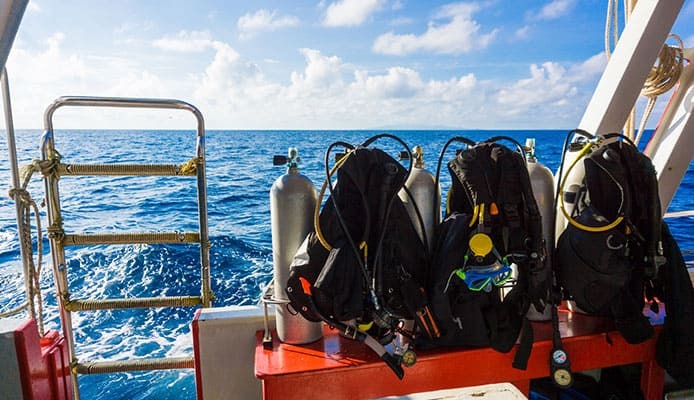 If you are diving down deep, then it is probable that you are going to have extra gear such as a dive computer or pressure gauges, so the extra storage space and D-rings are a welcome addition to add some functionality to your diving kit. This will give you a tight feeling, similar to wearing a big winter jacket. When you inflate this type of BCD the front and back will inflate engulfing your body. For beginners, it is often recommended to opt for this style as it creates a good buoyancy for all diving conditions and environments. This style also provides the most control in the easiest manner during your dive. There is a gas bladder in the back which inflates and swells as well as deflates to regulate your buoyancy in the water. This type of BCD gives the most balance when you are on the surface of the water and is one of the safest options out there. Some modern jackets also feature ballasts on the side to give even more ballast and comfort when you are wearing it. You can also find travel jackets which are specially designed to pack up smaller and more compact. Where there is a plate in the jacket, it will often be foldable so that you can fold the jacket up small and pack it in any travel bags. They often have less buoyancy than traditional jackets due to the fact that probability is featured over buoyancy. This style is commonly referred to as wings as it only inflates the back portion of your device. 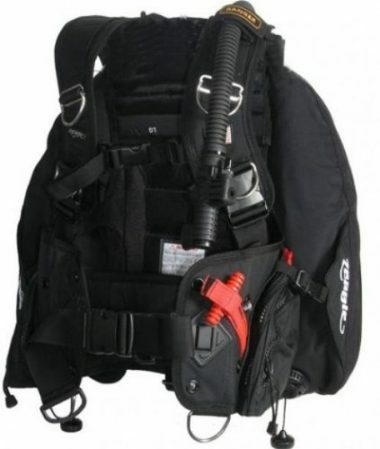 It is often a more comfortable feel because it will feel as if you’re not wearing a BCD. This style is recommended for experienced divers as it often puts you in a face-down stance when floating on the surface. Back inflation jackets are smaller than traditional BCD jackets and can be packed easier in your gear bag, but they are harder to get used to. They are not as balanced as jackets, but for the experienced user, they are comfortable and offer all the buoyancy you need. The lightest of the BCDs on the market, these are great for those who like to travel with their gear. A low profile design allows you to fold the best scuba BCDs to fit easily in your luggage. This style typically doesn’t allow for as much lift capacity as other models, but it does offer enough buoyancy to keep you afloat at the surface of the water. If you are a professional diver, you probably have a lot of gear to take with you, especially if you are doing deep dives or taking pictures. The further you dive and the longer you dive, will create a need for more gear, and it is helpful to have a BCD which does not take up much space in your gear bag. Travel BCDs are also great for, well, traveling. If you have to take your dive gear with you on a trip, the smaller the gear is, the better. This is especially true when you are traveling by air. Heavy or oversized baggage can mean having to pay more money to fly. A travel BCD is so small and light that you can even pick it in your carry-on luggage. A mix of the jacket and wing style, this BCD will inflate ¾ in the back and ¼ in the front. This style reduces the amount of air in the front part of the rig. It will keep you in a more vertical position which most divers will appreciate. You can also regulate the buoyancy of the jacket, and this makes it favorable to expert divers. 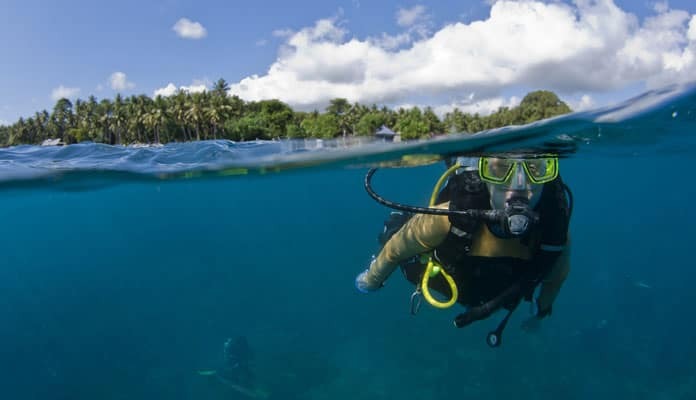 On the surface of the water, they can often push you down into a more vertical position than a traditional jacket (though not as much as with a back inflation BCD), but seeing as they are favored by professional scuba divers, that is not usually an issue. The temperature of the water you are diving in will affect the type of BCD you should buy. The first thing that gets affected is the lift capacity. This is a measurement of the weight which the BCD can hold when on the surface of the water and when fully inflated. Depending on your experience, you may opt for a lift capacity which is high so that when you are on the surface of the water, you can rest and relax more. As you become more experienced, you can switch to a BCD with less buoyancy and lift capacity. While diving in colder water you will be wearing a thicker wetsuit meaning you will need a BCD with a higher lift capacity to counteract the higher buoyancy. This is important as it will ensure you can navigate through the water with ease. 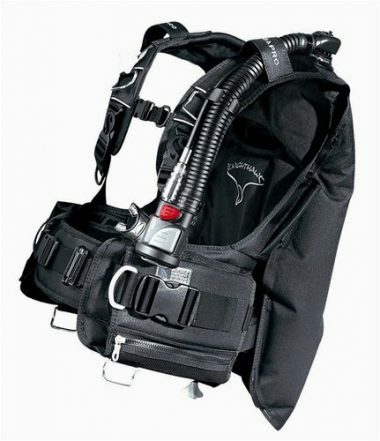 You should also look at the type of material and style of the BCD. Many BCDs will offer you additional warmth when in the water. If you are diving in colder waters, then we would recommend that you choose a BCD which offers maximum coverage and maximum warmth. This is always an important feature when considering scuba equipment but is even more important when considering a BCD. You will want to find one that fits comfortably and fits snug to your body. We recommend, especially if buying online that you invest in a BCD with adjustable straps that allow the device to adjust to the perfect fit for you. Take into consideration the thickness of your wetsuit or drysuit you plan to wear on your dive. If you have not worn a BCD before, then we would recommend going to your local water sports store to try some on and see which fits best. Once you know which style you like, you can pinpoint your exact size. If you get a BCD which is the wrong size, then you can run into problems. A BCD which is too small may be constrictive and will put a lot of strain on the fasteners. A BCD which is too big will run the risk of coming off in the water. It can also move around too much when you are in the water and become annoying. A weight belt is just another accessory to bring along on your dive. Being able to ditch this accessory and simply add your weights into the pockets of your BCD will relieve the bulk on your body. This is especially desirable when diving in cold water and you are already wearing a thick wetsuit. When you do have a thick wetsuit on, your buoyancy is changed completely. A BCD with good weight integration will help you to control your buoyancy in the water. The other advantage of having weight integration is that you do not have to worry about fastening something else to you. You have less to worry about when you are preparing your equipment, and you do not have to worry about fitting one around the other. When buying your BCD most models will specifically state if it is made for men or women. This is only important because of the length of the BCD. Men’s styles are made with a longer length to allow for men’s longer torsos while women BCDs, in turn, have shorter back lengths. In the women’s style, your tank will not rest on the base of your spine. During dives, this will make your tank feel lighter and less strenuous. 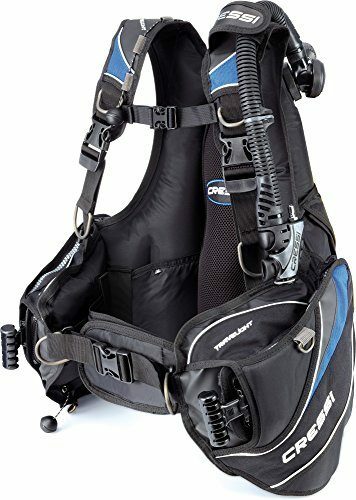 The best scuba BCDs designed for women also have a unique design for the chest straps and the width and shape of the shoulder straps. This will fit much more comfortably as it compensates for women’s unique shape. Look for straps which are made of comfortable materials and ones which are in positions which will not rub or chafe. You should also look for straps which are easy to fasten and unfasten, especially when you are in the water. A BCD should feel like an extension of your body. When you have your BCD on, you should not have to worry about it, and it should not feel as if you are wearing anything at all. Q: What Is A BCD? A: A buoyancy control device is an item of dive clothing which is worn to create a neutral buoyancy in the water and a positive buoyancy on the surface of the water. When you have put on all of your diving equipment, you will notice that it is very heavy. When you get into the water, the equipment will feel lighter than on dry land, but it will still weight you down. Without any additional buoyancy, you would sink towards the bottom of the body of water and would have to swim upwards with a lot of force to get back to the surface. BCDs give extra buoyancy when needed, and more weight when needed to give neutral buoyancy in the water. This means that you will neither float to the surface or sink to the bottom. When you are wearing your BCD, you will be able to swim in all directions with ease, making your time in the water more enjoyable. Q: What Are The Parts Of The BCD I Should Know About? A: The integrated ballast can be a vital part of your BCD. Weights are integrated into the side pockets and negate the need for a wight belt when you are scuba diving. This eliminates the need for a bulky or unwieldy weight belt. When you are looking at this feature, look for pockets which will keep the ballasts in pace, but also one which is easy to get into. Rings are a welcome addition to a BCD. They allow you to store equipment while you are diving, such as dive computers and cameras and leave your hands free. You can never have too many rings, but we would recommend choosing a jacket that you go for one with four or five rings. You should also look for metal rings over nylon rings. They will last longer and will hold up better to having equipment clipped and unclipped over and over. Pockets are always a welcome addition, and they offer you extra storage options for your smaller pieces of equipment. They are great for storing flashlights or strobes for your camera. It is always beneficial to find a BCD which has sealable pockets. Zips will give your items the best protection, but velcro is easier to get opened and closed. Pay careful attention to the fasteners on your BCD too. You should look for fasteners which are easy to open and close, but also ones which are made from durable materials. You are going to be using the fasteners a lot so they should be able to cope with the stress and strain. They will also have some strain from being worn under the water. Look for a material which is not going to be broken down by the salt water. Q: How Do I Take Care Of My BCD? A: It is important to take care of your BCD when you are in and out of the water. When you are putting your jacket on, take care not to force the fasteners. If you treat them with care, they will last a lot longer. You should also make sure to store your jacket in a cool and dry place when it is not in use. If you can hang the jacket, then it will last a lot longer. Avoid folding it or placing it in storage with items on top of it. After using your BCD in the water, especially when it has been used in salt water, you should take the time to clean it. To do this, silly rinse the BCD with fresh water. Make sure to rinse the jacket inside and out. Once it has been rinsed, store the jacket on a hanger and allow it to dry fully before putting it into storage. Ensuring you get the right BCD for you is a crucial first step of scuba diving. 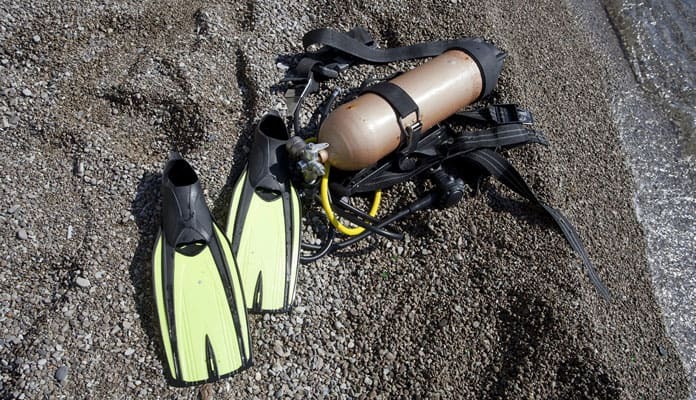 Once you complete your first dive lesson, you will want to think about getting your own gear. Understanding and being comfortable with this piece of equipment goes a long way in giving you confidence and peace of mind while under the water’s surface. There is a lot to think about when it comes to diving, and while many items are more crucial and protective than this one, it is almost impossible to dive without a BCD. A great BCD will keep you neutrally buoyant in the water. Your equipment will not weigh you down when you are in the water. You will feel more free and limitless when you are wearing a BCD, and your underwater adventure will be enhanced. There is a lot to learn about the best BCDs, but if you are reading this, then you have probably read our guide. Once you have taken in all of the information, you are on your way to choosing the BCD which will make your dive all the better. Choose one from our list and be reassured that you are getting the best equipment on offer. 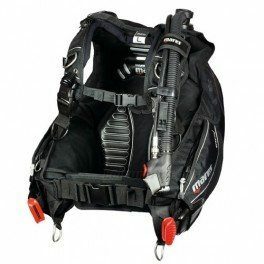 Do you dive with on of the best scuba BCD on our list? Let us know the features that you love about it in the comment section below.